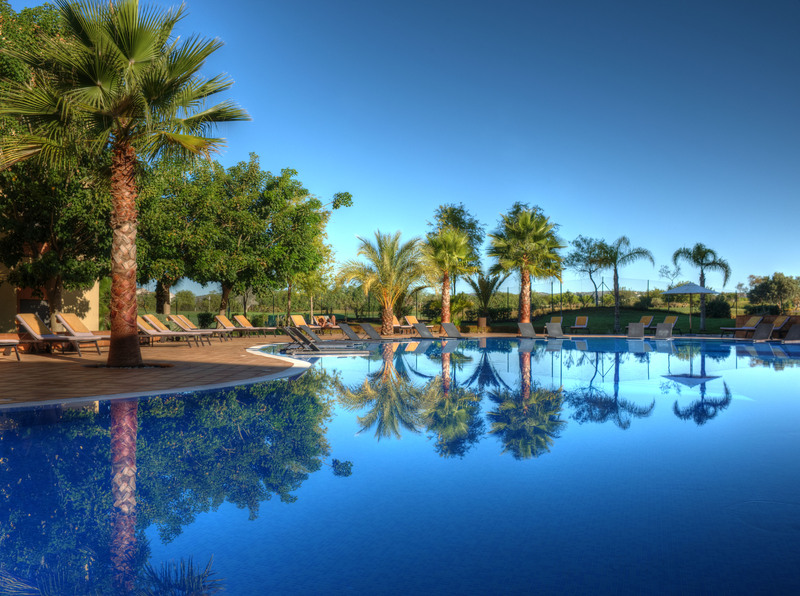 This exclusive Vilamoura retreat has all the ingredients for a perfect family holiday – a choice of swimming pools, a free shuttle to Vilamoura's sandy beach, on-site restaurant and bar, playground, plenty of nearby family activities and more! We had a fantastic holiday. This was the first holiday with our 7 month old twins. We decided to go with Tots to Travel for peace of mind that the resort would be baby friendly and the essential kit would save on a lot of the baby kit we would need. We were hugely impressed with the apartment complex and it was brilliant for the twins with 2 highchairs, cots, bath toys, play toys and feeding kit. We couldn't have improved anything. We had a wonderful 9 day stay at the residences from the 29th October 2016. 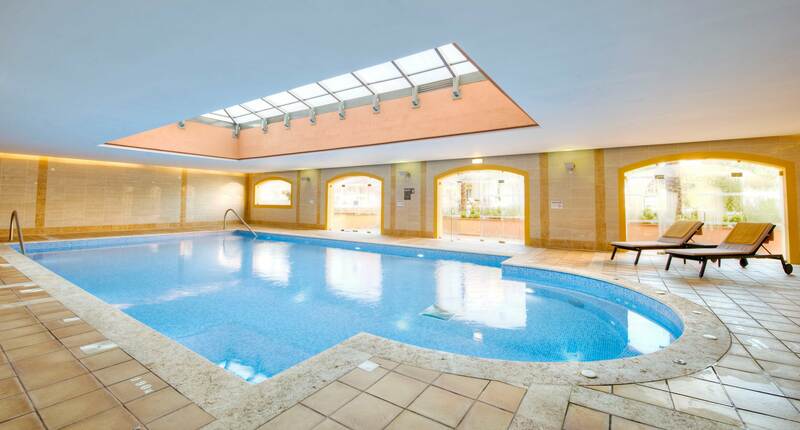 Rooms were spacious and very clean and the staff on the pool bar were excellent. I would highly recommend this resort to anyone else, there is a free shuttle bus from the Tivoli Victoria hotel to the Tivoli Marina hotel so you can get to the marina and it's many restaurants too. Had a lovely stay at the residences. 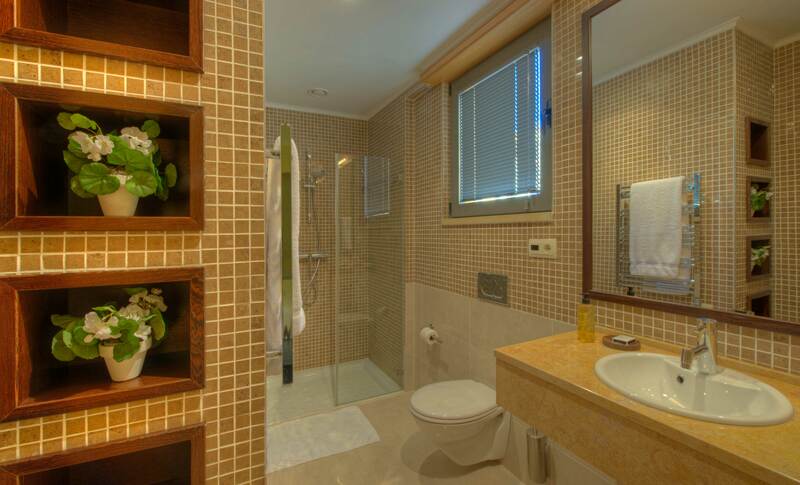 Apartments are of a very high standard and were immaculately clean. Food at the snack bar was nice but it did close at 8pm. Parking underground was very convenient and dedicated spaces are located under your apartment block. Location is a quick few minutes’ drive from the marina area in Vilamoura so having a car really helps. We never used the shuttle service. 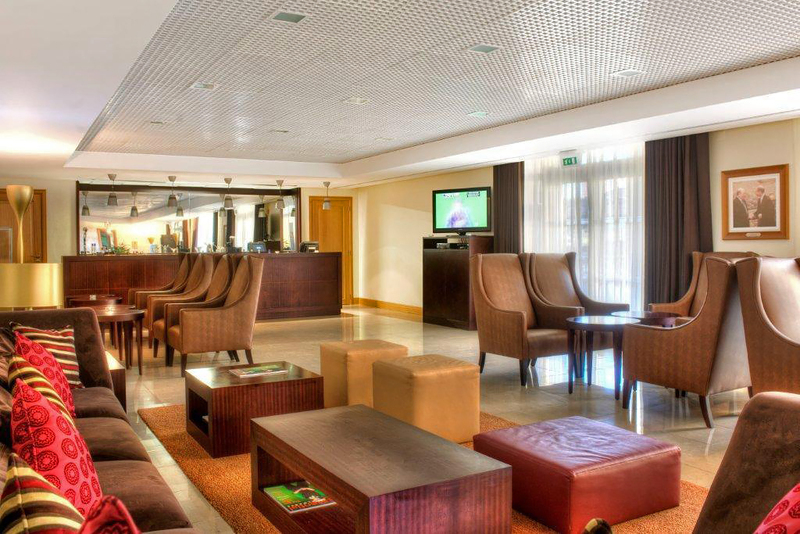 A great place to stay near Vilamoura. Luxury Apartments with great Sat TV all UK channels and lovely rooms. The maids were superb at keeping the place very clean. Any wee problems were dealt with very quickly and pleasantly. The staff are a credit to the development. We will be going back guaranteed for another stay. Thank you for a great break with the family. I cannot recommend the apartments highly enough! Having paid quite a bit more than we would normally for a week away, I can honestly say it was completely worth it. The out of town location might put some people off, but even that is taken care of with a free shuttle bus to the Tivoli Marina. 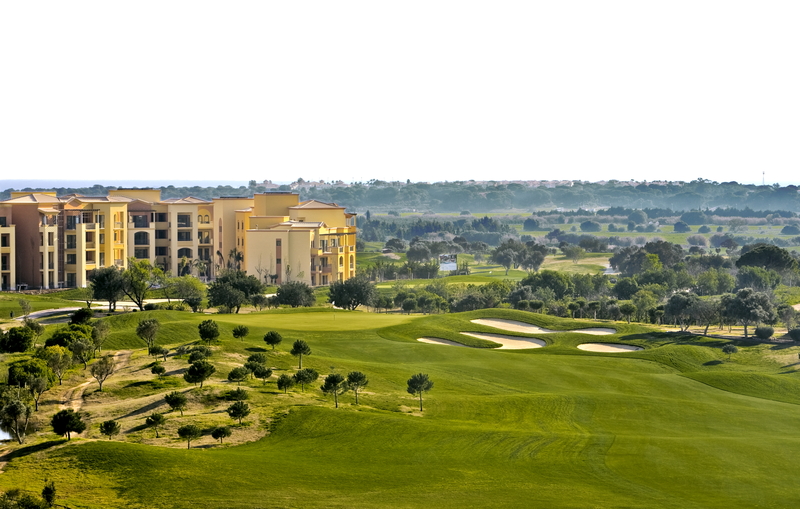 We had a ground floor three bedroom apartment which was very spacious and overlooked the golf course. Pool, bar and snack bar/restaurant were well ran and ideal if you fancied a night in - they even did a take-away service. My only negative observations would be that the bar/snack bar could do with opening a bit earlier in the morning to provide breakfast drinks/snacks; the gym room needs more equipment for the regular gym bunnies; and the shuttle bus could do with a few additional slots in the morning and afternoon. These are just minor points and we will be going again next year if not before. Perfect family holiday with the best of both.. 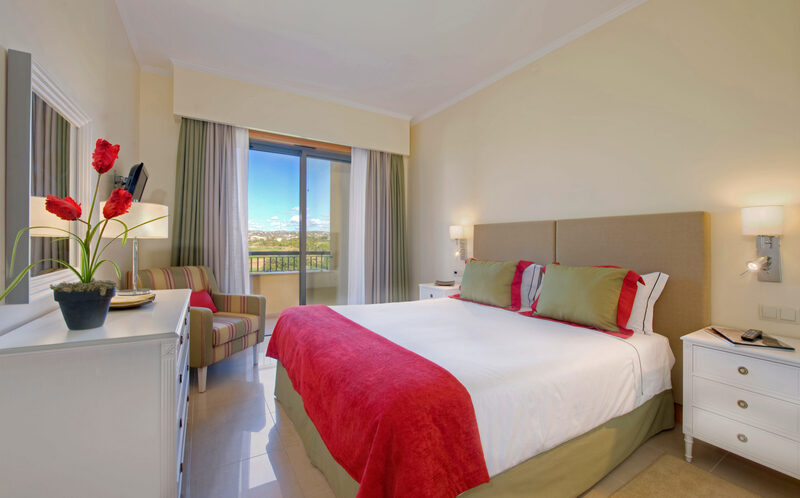 Spacious family accommodation with the benefits of a 5 star hotel. The apartments are lovely & cleaned every day and are fully equipped to make your stay very comfortable! We had a 3 bedroom apartment for 5 of us which was perfect! The shuttle bus to the Marina could do with some more trips during the day... There is no supermarket nearby which is a bit of a hassle as you need to wait for the bus or get a taxi which can be 20 euros there & back. We would definitely return! 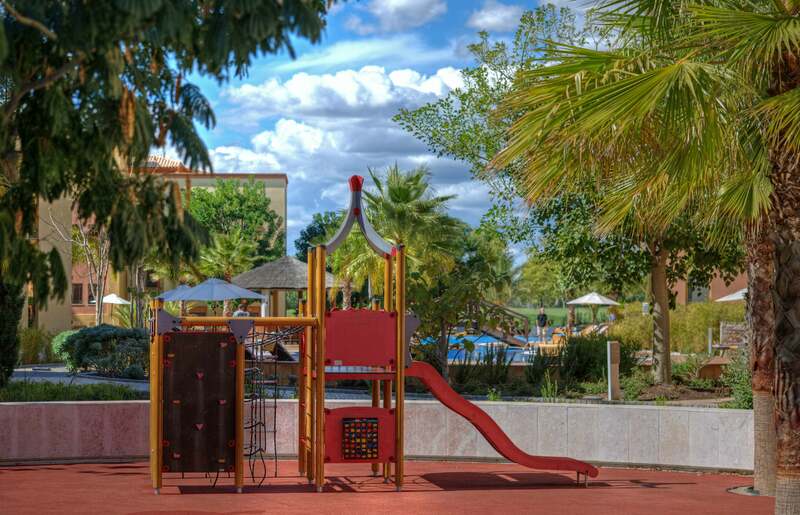 A perfect location for kids with immaculate apartments and pools on site. We had a wonderful 9 day stay at The Victoria Residences from the 29th October 2016. Rooms were spacious and very clean and the staff on the pool bar were excellent. I would highly recommend this resort to anyone else, there is a free shuttle bus from the Tivoli Victoria hotel to the Tivoli Marina hotel so you can get to the marina and it's many restaurants too. Had a lovely stay at The Victoria Residences. 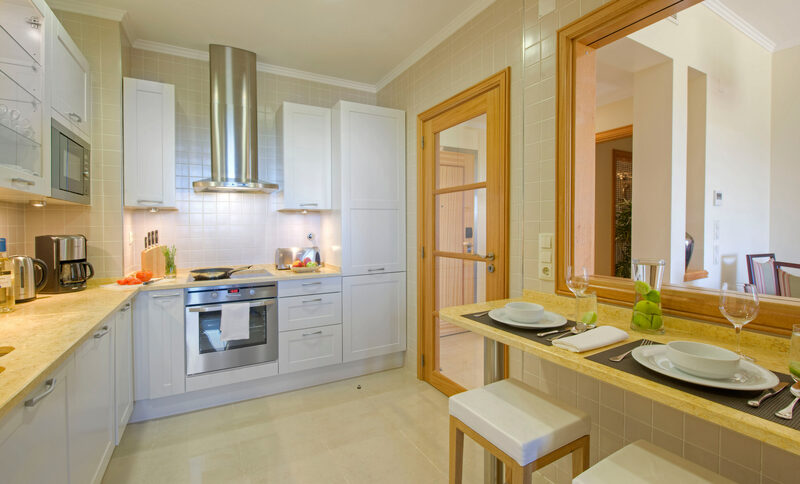 Apartments are of a very high standard and were immaculately clean. Food at the snack bar was nice but it did close at 8pm. Parking underground was very convenient and dedicated spaces are located under your apartment block. Location is a quick few minutes’ drive from the marina area in Vilamoura so having a car really helps. We never used the shuttle service. Our 7th time in a row to choose this for our family holiday - need I say any more?? Two kids age 4 and 8 have been coming here since birth and wouldn't think about anywhere else as The Victoria Residences provide excellent accommodation in a 2 bedroom apartment, spotlessly clean, fantastic staff, and loads of activities for kids of this age, in a safe supervised environment. We love it and highly recommend it especially with young kids. Would recommend car hire because of location. Safe, secure underground parking. The only issue we have - the gym wasn't up to scratch this year as previous...a few machines missing - could be doing with a few more bits & definitely a treadmill. Myself and my family stayed for 10 nights at The Victoria Residences and had a fabulous time. The 2 bed apartment was amazing and had everything we could want. The shuttle bus service is great and saves on paying for taxis. One recommendation would be a mini market for people who are self-catering. The staff were very approachable and helpful. Would definitely recommend The Victoria Residences and hope to stay there again soon. Our 7th time in a row to choose this for our family holiday - need I say any more?? Two kids age 4 and 8 have been coming here since birth and wouldn't think about anywhere else as the residences provide excellent accommodation in a 2 bedroom apt, spotlessly clean, fantastic staff, and loads of activities for kids of this age, in a safe supervised environment. We love it and highly recommend it especially with young kids. Would recommend car hire because of location. Safe, secure underground parking. The only issue we have - the gym wasn't up to scratch this year as previous...a few machines missing - could be doing with a few more bits & definitely a treadmill. Myself and my family stayed for 10 nights at The Residences and had a fabulous time. The 2 bed apartment was amazing and had everything we could want. The shuttle bus service is great and saves on paying for taxis. One recommendation would be a mini market for people who are self-catering. The staff were very approachable and helpful. Would definitely recommend The Residences and hope to stay there again soon. 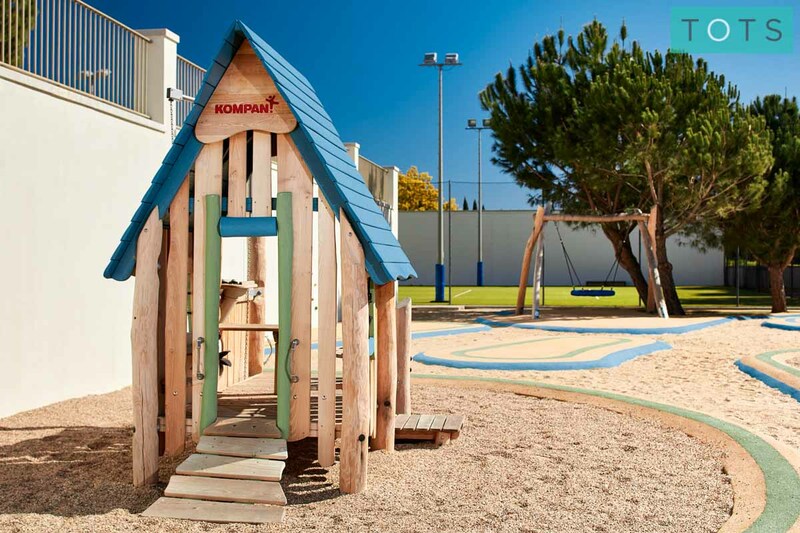 Tots will love making new friends at the nearby kids' club exploring the shaded outdoor play area and splashing in one of the resort’s many pools. Parents can also enjoy a stress-free holiday, aided by the provision of our unique Baby & Toddler Essential Kit. 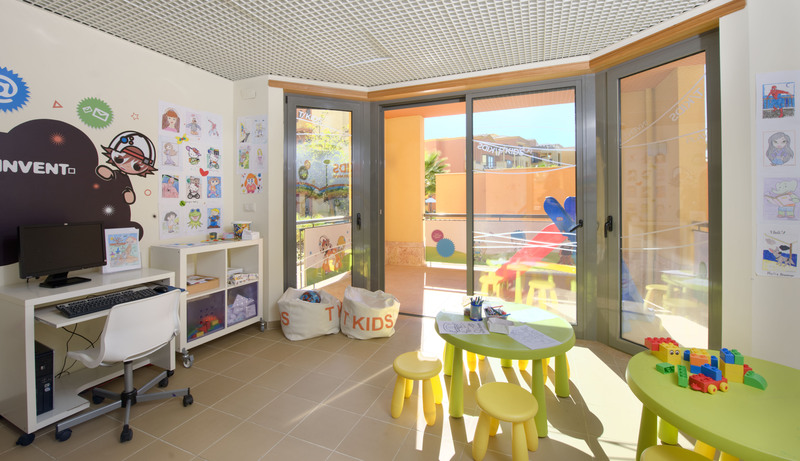 Discover the super fun kids' club and crèche run by top class provider Worldwide Kids. 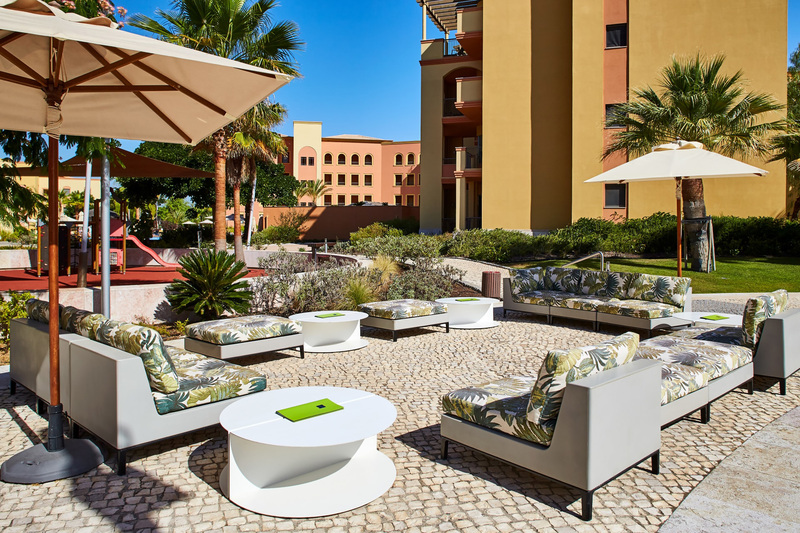 Based in next door Anantara Vilamoura. Additional charges apply. Suitable from 4 months. 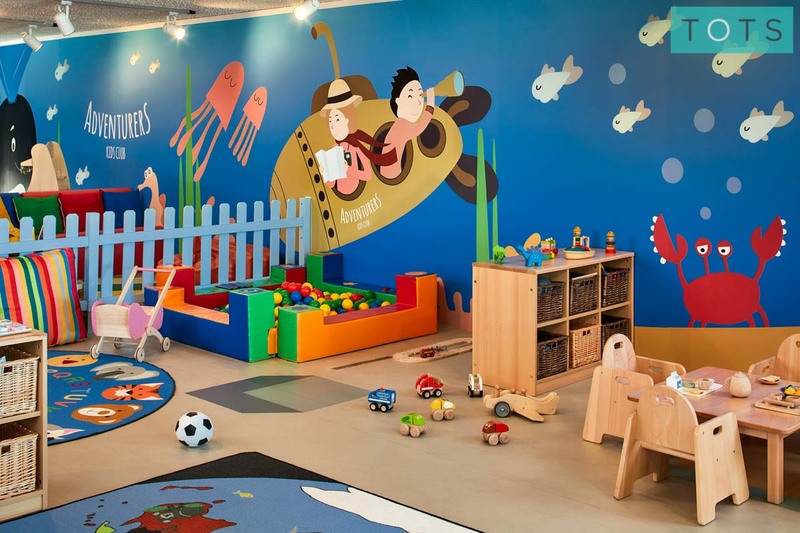 Tots will have endless fun in this cute playroom. Parents can take the kids here for some indoor stay and play time. The fun doesn’t stop at Victoria Residences – when they’re not in the kids’ club or the pool, little ones will love a trip to the shaded outdoor playground to help burn off some energy. Treat yourself to an evening of relaxation by making the most of the resort’s excellent babysitting service, available to book through reception. The resort has a lovely family restaurant with themed buffets, that’s perfect for fuss-free family dining. Parents will also love a visit to the poolside Tiki Bar, for some incredible cocktails. Choose from the six seasonal restaurants at 5* Anatara Vilamoura Hotel situated across the road from Victoria Residences. Spend long lazy days in the sun, splashing in the resort’s three swimming pools, exploring the nearby beach, or get active and visit the gym, fitness room or golf courses. The resort has three swimming pools: a huge free-form pool, a heated indoor pool and special toddler pool that’s ideal for little water babies. 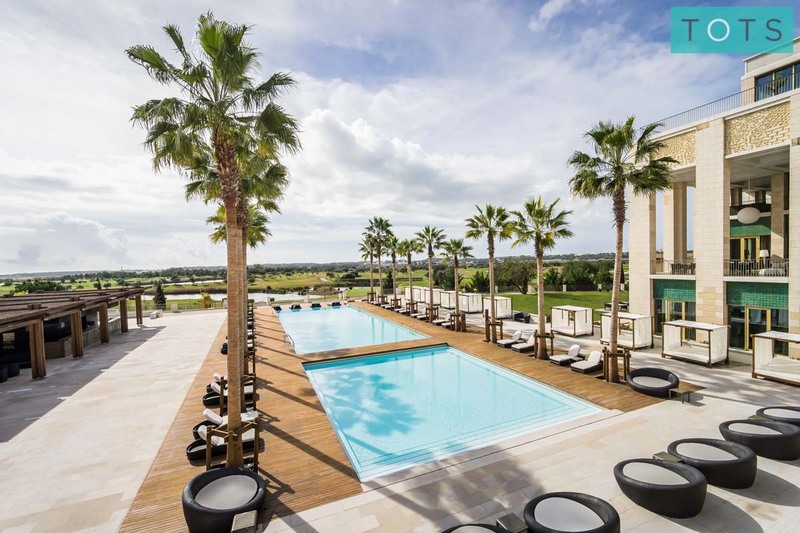 Plus you are welcome to use the stunning pool at 5* Anantara Vilamoura Hotel, five minutes walk away. Hop on the shuttle bus to the 5* Tivoli Marina Vilamoura beach, ideal for sandcastle building, spotting boats in the marina and splashing in the sea. The resort has its own fully equipped gym and a fitness room, ideal for guests looking to keep active during their stay. There are a huge number of excellent golf courses near to and around the resort, perfect for golf fans, and you can even book golf lessons with a golf pro during your stay. Offering Thai and Algarvian inspired treatments aswell as an indoor pool, sauna and steam room. Please note you must book a treatment to access the spa. If your tots are busy enjoying the kids' club then why not take a trip to exclusive adults only Purobeach Villamoura - chilled relaxation, music and cocktails. Entry charges apply. 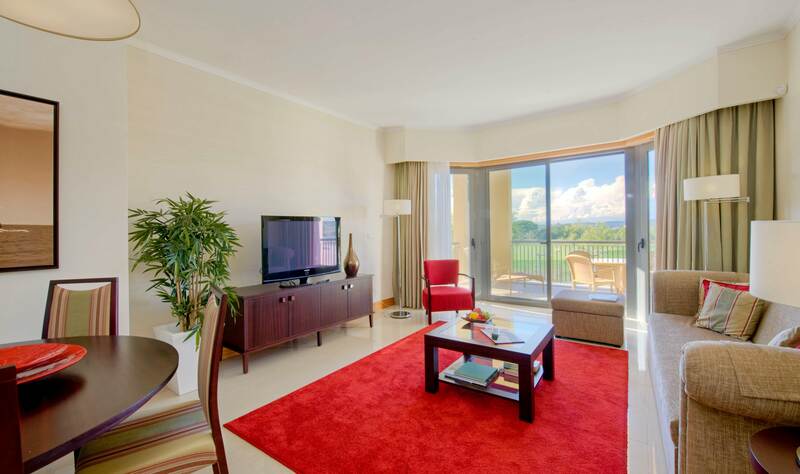 With luxury interiors and beautiful balconies that have outdoor seating, ideal for relaxing on with a glass of wine in the evenings, the apartments at Victoria Residences are nothing short of sublime- and they’re totally family friendly too. We’ve personally hand selected the very best of the accommodation options offered by the resort, inspected and perfected them to suit families with tiny tots. Not only can you enjoy trips to the beautiful nearby beaches, there are also lots of other family attractions, restaurants and shops located near to the resort. Don’t miss the Aquashow Park, with it’s new toddler area, or the restaurants, bars and cafes in Vilamoura.